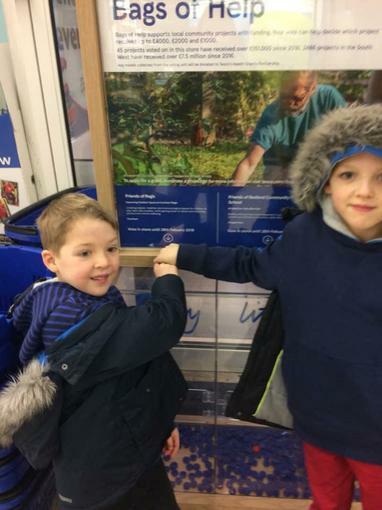 Vote for us at your local Tesco! Friends of Regis is in the customer vote for a Bags of Help grant from Tesco. It’s a scheme which gives community projects grants of up to £4,000 – all raised from the sale of carrier bags in Tesco stores. The public will now vote in Chippenham area stores during January and February on who should receive the awards. Please support us in your local store! If successful, we will use the grant to enhance our outdoor spaces, including making the school field more secure so it can be used regularly and further developing the sensory garden, allotment area and playgrounds.